FRAMED PRINT. 22x18 inch (56x46cm) Framed Print with Black Satin with Off-White Digital Mat. 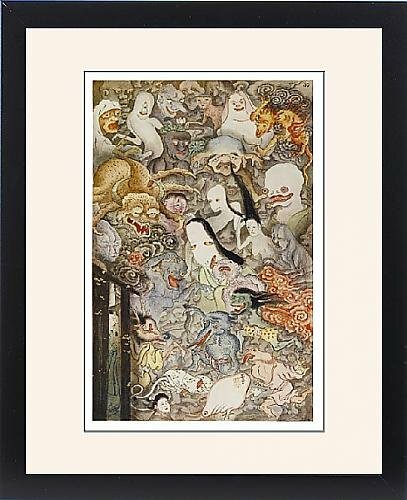 Artwork depicting JAPAN GHOST PROCESSION. JAPANESE GHOSTS The Shozenji Temple, Fushimi, near Kyoto, is haunted by Hiyakki Yako - a gathering of a hundred ghosts. Professionally made to order in the USA. Artwork Description... JAPANESE GHOSTS The Shozenji Temple, Fushimi, near Kyoto, is haunted by Hiyakki Yako - a gathering of a hundred ghosts.